If you’ve gone ahead and planned yourself a fantastic trip to Las Vegas, you need to find some fun things to do while you are there. Las Vegas is full of sights, sounds, and shows and has something for everyone. 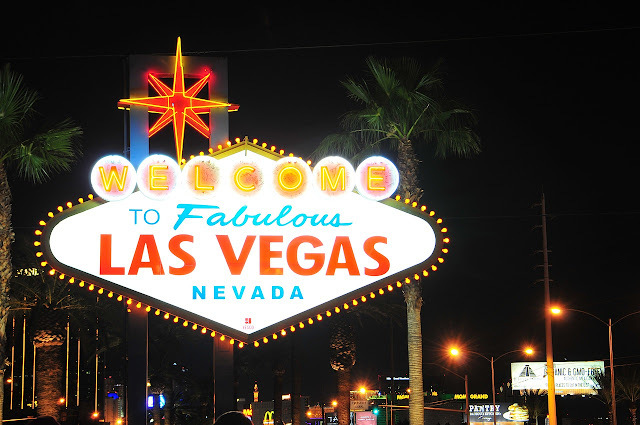 Here are seven fun things for you to do while in Las Vegas, Nevada, United States. There is one thing Las Vegas is not lacking, and that is food. Everywhere you turn, you can find a variety of restaurants and stands that will leave your mouth watering. If you like all-you-can-eat buffets, you’re in luck, and some of the worlds best are in Las Vegas. Las Vegas is one of the premier destinations in North America for the best shows on earth. Whether you are interested in music or something a bit more artistic, you can find some incredible performances that will leave you breathless. Your best bet is to search for some coupon codes online before heading out on your trip for savings on shows. Las Vegas is known for their Casinos. Each multi-million dollar venue is impressively decorated to follow a theme and filled with slot machines, tables, shops, and restaurants. Even if you’re not a big gambler, take the time to visit the strip and duck inside the casino’s to feel like you’re in a different city on each block. If you enjoy a good thrill ride, Las Vegas has you covered. Take a roller coaster ride in the New York, New York, or, bungee jump from the top of the Stratosphere onto the ground below. These rides are not for the faint of heart, so if this is not for you, you can still watch from the field below. Turning Las Vegas into a family vacation is not as hard as you might think. Each of the casinos boasts some great exhibits such as the Shark Reef in the Mandalay Bay, or the giant pirate ship outside Treasure Island. Just because you have kids, doesn’t mean you can’t make Vegas you’re next vacation destination. Las Vegas is known for its swimming pools, and pool parties. Some of the best parties on earth happen right here around the lake. The designers have brought the best of the beach to venues inside the hotels. Some of the best pools in Vegas include the Mandalay Beach and the Beach Life in the Hard Rock Casino. Enjoy the biggest party on earth by hitting up some of the clubs along the strip. Frequented by celebrities, the Las Vegas club scene is one of the premiere dance destinations on the planet, so while you visit, be sure to check one out. Las Vegas is a fantastic desert oasis of fun, sun and a lot of sand. While in Vegas, be sure to see some shows, check out the exhibit and launch yourself off a building while riding a coaster. Once you’re done with all that, take in some of the beautiful dining Vegas has to offer, visit a pool to wind down and then dance the night away in one of the nightclubs. We’re sure you will talk about this vacation for years to come.